Research on cannabis and CBD oil are still in their infancy as many countries have made it very difficult even getting permission to study this plant and the medicine that comes from it. However, the studies that have been undertaken have shown both fascinating and thrilling results. We are going to look at three main studies on CBD oil today. 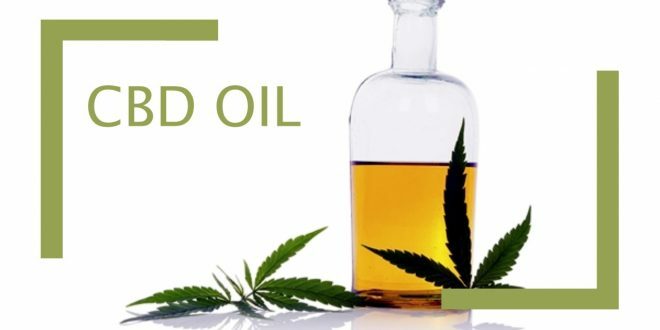 One gives insight into how CBD oil works, another is currently ongoing and is looking for more participates, and the last offers a comprehensive look at CBD’s safety and effectiveness. Before we get into our studies and findings, I want to go over what molecules are studied in cannabis for their therapeutic properties. The reason for this is some of these molecules have been studied for over 50 years while others we’ve only recently discovered. Another reason is there is a lot more happening in CBD oil than just CBD itself. There are two main classes of molecules in cannabis that both provide therapeutic benefits: phytocannabinoids and terpenes. CBD Oil — Comes in two varieties: full spectrum and isolate. Full spectrum means there is more than just CBD itself as it contains all the phytocannabinoids and terpenes found in cannabis plants (hemp and marijuana). All pet and most human CBD oil is full spectrum because CBD, for the most part, is ineffective when isolated. Phytocannabinoids — THC and CBD are the two most well-known phytocannabinoids, but there are over 100+ of them, and they all have medicinal properties such as anti-inflammatory, analgesic, antibiotic. They provide the plant with its own medicine and self-defense. They closely mirror endocannabinoids that mammals produce for the same reasons. THC — Tetrahydrocannabinol is the only phytocannabinoid that produces a high and is found notable quantities in marijuana varieties of the cannabis plant. Hemp, it’s almost identical “cousin”, is extremely low in THC and doesn’t contain anywhere near enough to produce even a mild high. CBD — After THC, CBD is the second most studied phytocannabinoid. CBD allows endocannabinoids to increase in the body which strengthen health across the board. CBD naturally promotes better health, but can’t produce a high at all. CBD has indirectly been studied for decades when studying THC, but it has been getting heavy focus in the last decade or so. Terpenes — Essential oils that give cannabis plants and other plants their unique aromas. They also have their own therapeutic properties, as well they promote the entourage effect — this means they reinforce the other cannabinoids’ beneficial properties, as well, they allow them to easily pass the blood-brain barrier. When CBD is isolated, it has a very difficult time doing this and requires a extremely high dose to work. Special note: You only want CBD oil derived from hemp for your pets because it will not get them high in any way. When searching for CBD oil, check to see if the oil was created with the help of veterinarians. Besides giving them a safe CBD product, vet CBD price is usually the same as CBD oil derived from marijuana or without the help of vets. Since CBD for pets is always full spectrum, for our first study let’s take a closer at the terpenes. You’re most likely already familiar with essential oils like lavender, peppermint, tea tree, etc. They have become incredibly popular in the last couple of decades because of their therapeutic properties. Lavender, for example, is well-known for having a soothing and calming effect. And the reason it does is, is it contains the terpene, Linalool. Linalool is also found in cannabis plants and produces similar relaxation effects. Cannabis has more essential oils compared to any other plant, and it’s why the plant can produce so many different aromas. In 2017, an Italian study compared legal hemp essential oil to almond essential oil — almond essential oil was used for the control since it doesn’t produce much of anything. By measuring brain rates, heart rate, body temperature, the rate of breathing, and blood pressure researchers saw that those that took hemp essential oil were notably calmer with their brain activity reading as if they were meditating. This is fantastic news if you have an anxious pet as the terpenes alone can help calm them. Combined this with CBD, which is notorious for anti-anxiety effects, and you have a fantastic anti-anxiety medication. CBD has such strong anti-anxiety effects that it will counteract THC’s pro-anxiety properties. Cannabis owes much of its popularity to its ability in treating rare forms of drug-resistant epilepsy in humans and dogs. Before CBD oil became legal across the United States, some individual states first legalized it for epileptic patients only. Most anticonvulsants are fairly similar in structure and when one fails the others will probably as well — 20-30% of dogs suffer from this. The other issue with them is the higher the dosage, the worst the side effects become. CBD oil avoids both of these issues as it’s a unique anticonvulsant that does not resemble any current ones on the market. As well, it has extremely low side effects, even with higher than normal doses. Now a second anticonvulsant besides CBD oil is often needed, but its dosage can be much lower due to CBD’s anticonvulsant properties effectively avoiding dangerous side effects. In 2017, veterinarians at Colorado State University have become the first major group of veterinarians to study CBD and its effects. They first started with “Efficacy of Cannabidiol (CBD) for the Treatment of Canine Epilepsy”, and after seeing positive results, they gave the go-ahead for further studies on epilepsy and now osteoarthritis. If you live in Colorado and looking to give CBD to your dog, you may be interested in signing your pup up for these studies. For our last one, I’m going to throw in a human and animal study in here. Actually, it’s not just one study by hundreds! Because in 2017, Kerstin Iffland and Franjo Grotenhermen embarked on scouring through countless studies to extend the comprehensive survey first undertaken by Mateus Machado Bergamaschi in 2011. This new survey aimed to draw a definitive answer on CBD’s safety and side effects after its quick rise in popularity. The results of the survey were of course fantastic! Iffland and Grotenhermen concluded that the favorable reported effects and safety profile of CBD were, in fact, true and consistent. The majority of studies they looked at were performed for the treatment of seizures and epilepsy. For the most part, the only side effects they saw were tiredness, diarrhea, and weight loss. However, only diarrhea should be seen as a negative side effect. CBD oil only produces sleepiness in high dosages, which some people desire for insomnia. Changes in weight will come from CBD regulating and suppressing an overactive appetite. If your dog is overweight, you may see their insatiable appetite decrease with CBD oil. CBD has not been shown to cause extreme weight loss in even overweight individuals, however. Now, CBD can cause weight gain in individuals that are underweight due to stomach irritation, nausea, chemotherapy, etc. because it helps relieve these symptoms. While research is still young, as you can see, the results are fantastic. And even with the limited studies, there have been enough for the World Health Organization to conclude in late 2017, that there are no public health risks and that CBD is safe and well tolerated by both humans and animals. Looking to get the flawless looking skin? Here are 7 Ways!